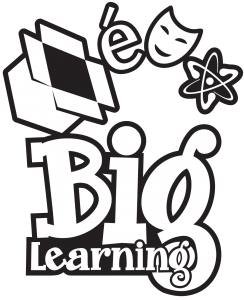 Big Learning’s nonprofit mission is to operate instructional programs in language, sciences, and creative enrichment for elementary and middle school students in Montgomery County, Maryland. Our standards for value: We offer programs that offer children immediate educational benefit and enjoyment, while building powerful knowledge, skills, and character traits for a lifetime. Our programs expand children’s horizons, and build excitement about learning and a thirst for understanding. Our commitment to equity: We strive to make our programs available and to provide value to children and youth across the income spectrum, and to improve equitable access to enrichment. Big Learning, formerly EPI was born in 1975 as a result of Montgomery County Council of PTAs commitment to quality, affordable afterschool programs. MCCPTA volunteers, who had been spending as much as 100 hours per month running FLES and Group Piano, realized that this level of volunteer effort was unsustainable. They spun off MCCPTA Educational Programs, Inc. (EPI), as a new nonprofit created to administer afterschool programs in Montgomery County. Over the years, Big Learning has housed FLES, Hands On Science, and Creative Enrichment, a kindergarten complement program that ended with the introduction of all-day kindergarten for MCPS students. As Big Learning grew, the volunteer board of directors realized that they needed a full-time executive director to run Big Learning. In 2011, Big Learning, then a separate nonprofit, joined Big Learning as a new program, and its founder, Dr. Karen Cole, became Big Learning’s first executive director.